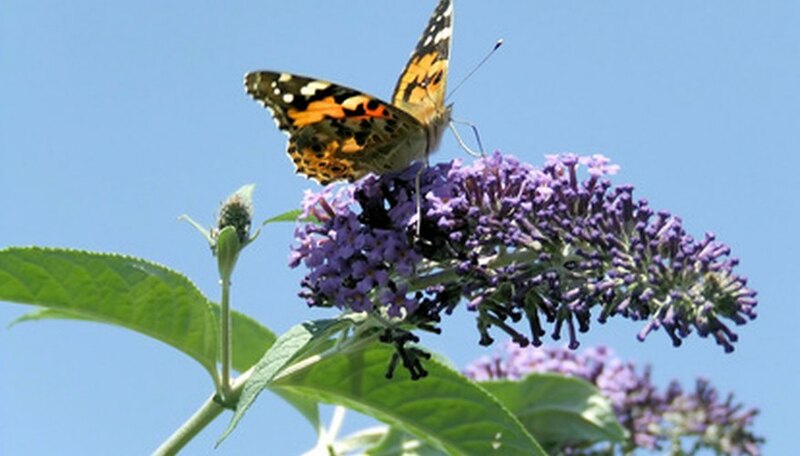 The Buddleja davidii, or butterfly bush, is a deciduous shrub. This plant grows 6 to 12 feet tall with a spread of 4 to 15 feet. They have a swaying form with spear-shaped gray-green leaves on long stems. 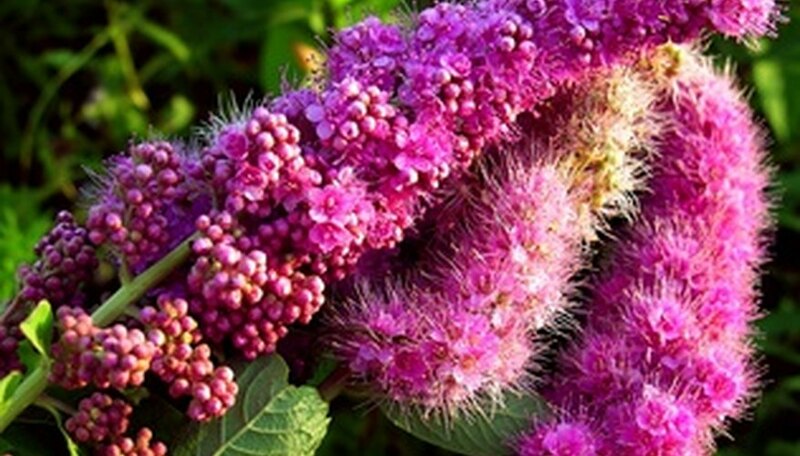 The butterfly bush has tiny flowers that are funnel-shaped clusters drooping in an abundance of color and fragrance. The white varieties are most striking to butterflies from spring through fall. 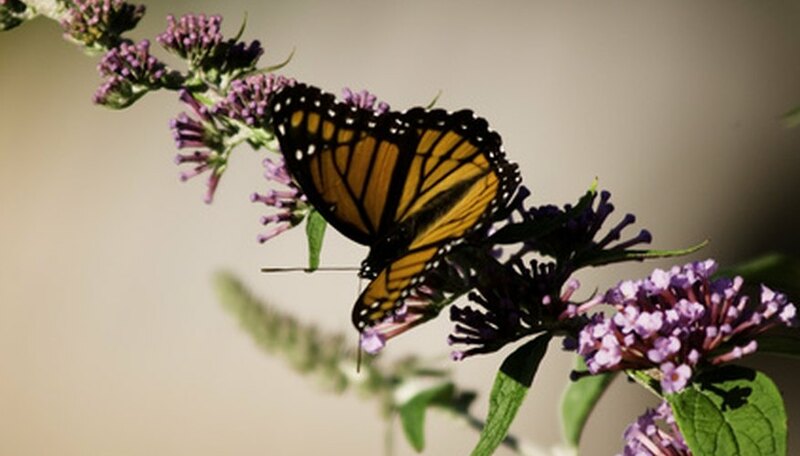 At times, however, a butterfly bush develops spots on its leaves. 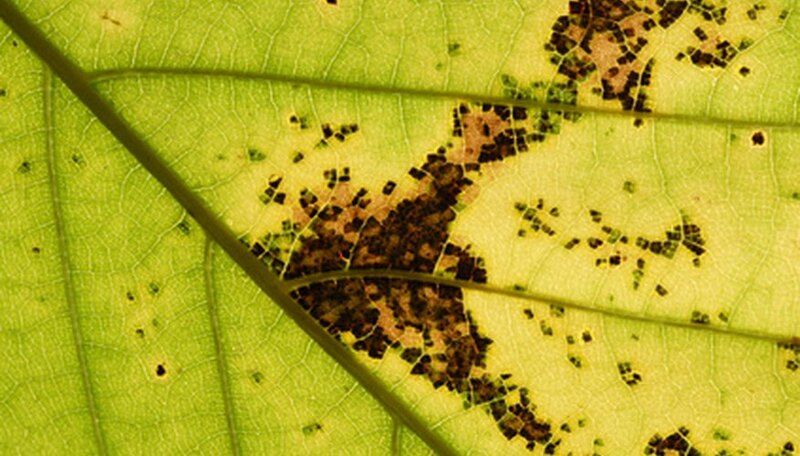 Leaf spot is a result of fungi or bacteria that attacks many varieties of garden and landscape plants. Each fungi or bacteria causes different-looking spots from yellow to brown to black. The leaf can drop before turning brown, thus helping to spread the fungal. They each have different patterns on the leaves, and some are ragged or circular in form. Fungi and bacteria spread through bugs, rain, unclean garden tools and people. Downy mildews are often confused with powdery mildews but are a completely different type of organism. Downy mildews produce a gray, fuzzy-looking spore or reproductive structure on a mycelium. The mycelium is where the roots of the fungus join together on the lower leaf of the bush to form a structure which helps the organism extract more nutrients from the bush. Downy mildew is hard to diagnose because of the wide range of host plants, severity of infection and variability of spot size and color. However, one similarity is the sign of the gray fungal growth on the underside of leaves. The distinction between powdery mildews and downy mildews is important when choosing the correct fungicide. For fungal leaf spot, there are less-toxic preventative alternatives such as good airflow between plants, removal of infected leaves when the plant is dry and disposing of leaves that fall and collect around the base of the plant. Also, watering the plant at ground level by the soil is preferable. If more serious infection occurs, use a recommended fungicide according to label directions. For downy mildew, cleanliness is the key to managing the disease. Clean up around infected areas. 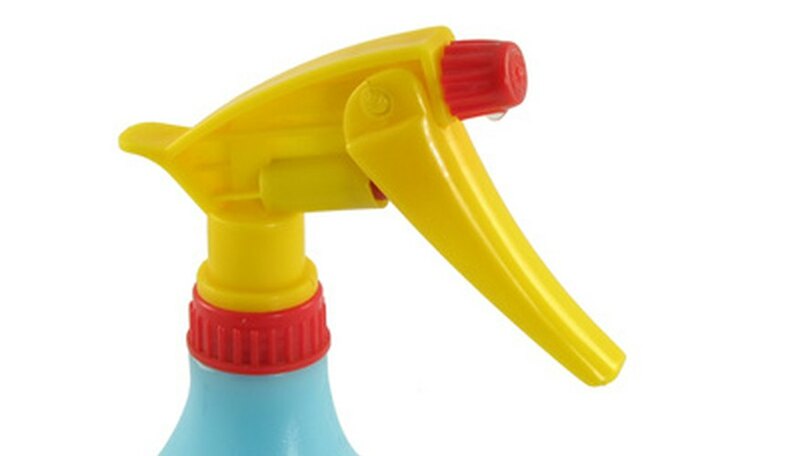 Prevent water build up on leaves. Remove severely infected plants. Use fungicides for prevention as directed by a local garden center or nursery. Symptoms of dieback include the leaves becoming pale green or yellow, delay in new spring growth, smaller leaves, decreasing stem growth, early leaf drop and premature fall coloration. Once the symptoms of dieback start, it is difficult to stop or reverse the disease. Early control is the best method of prevention. Keep plants and shrubs healthy with proper care to avoid dieback. The best treatment for plant diseases is prevention before a problem occurs. Become familiar with the pests and diseases of plants and keep vigilant watch from the beginning. It is easier to prevent than to treat infestations. In addition, unnoticed diseases can spread easily to other plants, causing damage to entire gardens or landscape plants.